FMG Plant Sale - Saturday April 27, 2019 - Rain or Shine ! Extension Master Gardeners are trained volunteers that educate and train the public in the latest gardening information and techniques. These volunteers run plant clinics; answer phone requests for horticultural information; establish and maintain demonstration gardens; work with people who have disabilities, youth, the elderly, and other special groups in the community; design and implement community involvement projects; and much more! Provide guidance on sustainable landscapes. Oversee teaching and demonstration gardens. Staff the VCE Master Gardener Help Desk. Run annual spring educational seminars. We host many public events around the county. Click the link below to find out where we will be next. Contact our Help Desk for any of your problems or questions. 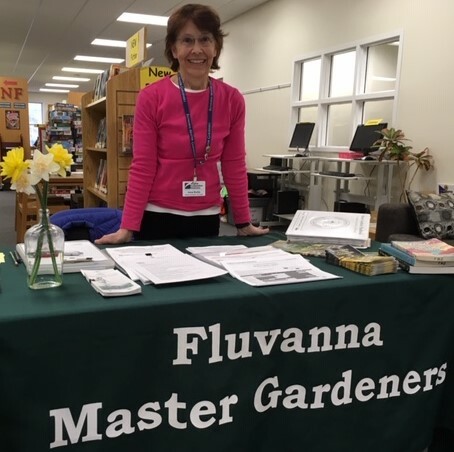 The Fluvanna MGs have a wide variety of projects that will interest you. 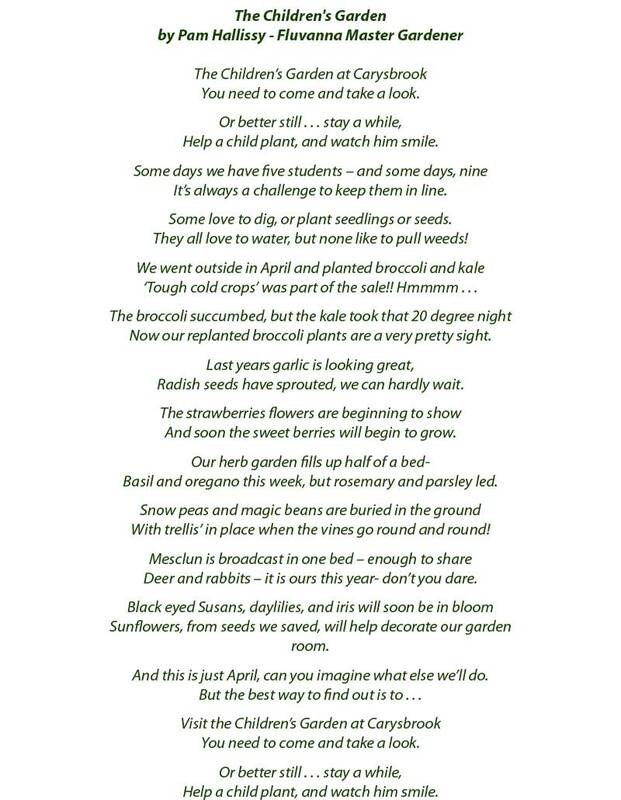 We are a local chapter of the Virginia Master Gardeners Association. Virginia Cooperative Extension Master Gardeners (VCE-MGs) are volunteers working in partnership with the Virginia Cooperative Extension to encourage and promote environmentally sound horticulture practices in the community through sustainable landscape management. VCE-MGs play a vital role in educating and reaching out to their local community. Each Master Gardener contributes at least 20 service hours per year in addition to completing 8 hours of continuing education. Using special talents, such as writing and photography, to benefit the program.